Passed away peacefully on Friday, June 19, 2015 at Victoria Manor, Lindsay at the age of 90. 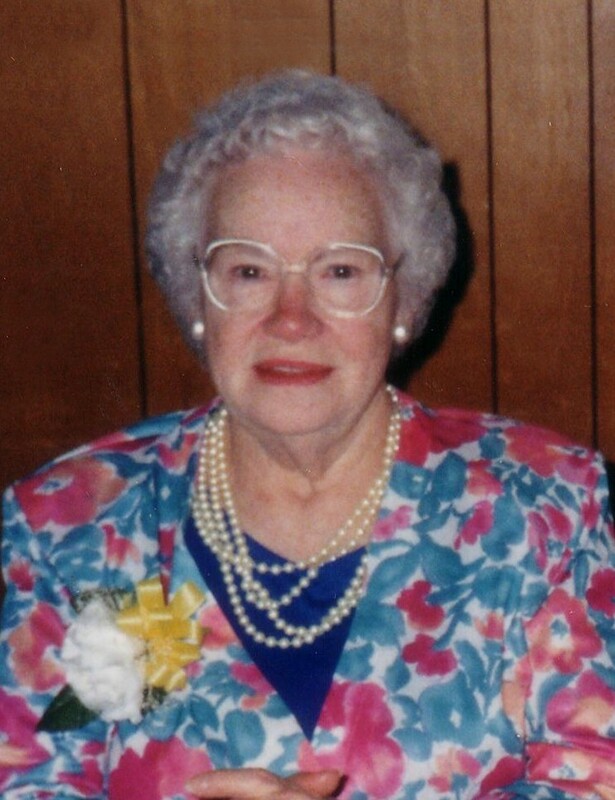 Beloved wife of the late William (Bill) Goslin. Special friend of the late Reg Armstrong. Cherished mother of Gloria Locke (Ed), Glen (Sharon and Linda both predeceased), Joan Hartwick (Wayne), John (Bev), Linda Arbuckle (John predeceased), Katharine Trump (Donald). Lovingly remembered by her 13 grandchildren, 19 great grandchildren and one great great granddaughter. Predeceased by her grandson Tony Goslin. The family will receive friends at Parker Funeral Home, 19 Moose Road, Lindsay, on Sunday, June 21st from 7:00 pm - 9:00 pm and on Monday, June 22nd from 12:00 pm until time of funeral service in the chapel at 1:00 pm. Reception to follow. If desired in memoriam donations to the Canadian Cancer Society or Victoria Manor, Lindsay would be appreciated by the family and can be arranged by Parker Funeral Home 705-324-1988. Online condolences may be made at www.parkerfuneralhome.ca.